As a hiring manager, you have a lot of responsibility. One of your biggest responsibilities is making sure you hire valuable and competent workers for your company. A bad hire is expensive, but a star talent can help your company reach their goals faster. While resumes provide the basic information for each candidate, you’ll need to spend time interviewing your candidates to determine whether they will be a good fit for your company. It’s a crucial time to weed out bad candidates from the ones who should move on for another round of interviews. If a job candidate does any of these faux pas, consider it a red flag, and move on. It is one of the first rules of applying to or interviewing for a job: The job applicant should do their homework on the company. If you are interviewing a candidate and they aren’t even aware of the job’s responsibilities, or key information about the company, they aren’t interested in working for your company. Even if the applicant has shining experience, if they aren’t dedicated enough to do some basic research to get the job, how dedicated will they be as an employee? It’s hard to believe that anyone would lie on a resume or cover letter, but unfortunately, it still happens. If during the interview, a candidate can’t provide proof or details on previous employment experience or anecdotal examples, you should end the interview and move on. This is a clear red flag and is a clear reason to consider someone else. 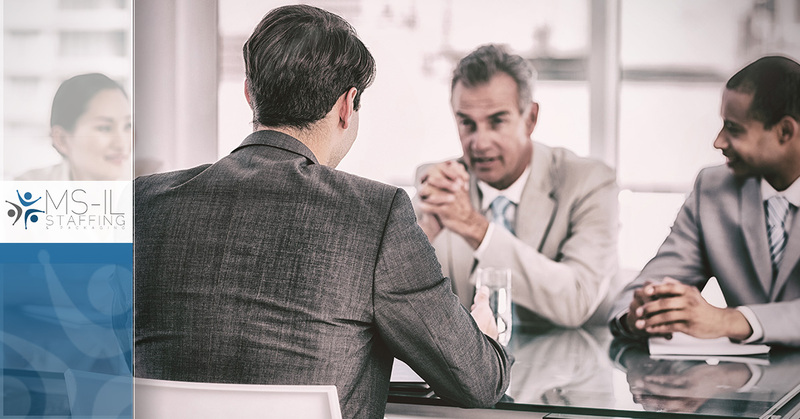 Another red flag, though maybe a bit more common, is when an applicant is hesitant or unwilling to take responsibility for any weaknesses or professional shortcomings. No one is perfect and your new hire should own this fact. It’s common to ask about weaknesses or setbacks in the office or professional setting, and if your job candidate cannot answer this question honestly, they might have a hard time with constructive critiques, being a team player, or demonstrating integrity when they work for you. If you need help finding quality candidates for your job openings, contact MS-IL Staffing & Packaging.